History does not grant us insight into the mind of Anne Boleyn. Her aspirations for the Protestant faith, which was in its infancy, were well known and her advancement of friends and family was equally ambitious. Were these reasons enough to turn public opinion against her? Were these reasons enough for Simon Grynaeus, a German theologian to deem her a “woman entitled to no respect” (Brown IV 761)? Contemporaries labeled her as “incredibly vain, ambitious, unscrupulous, coarse, fierce, and relentless” (Friedmann II 297), “full of pride, ambition, envy, and impurity (Sander 25) with an “overbearing manner that left her without a friend save her own immediate connections and personal allies” (Froude 402). Her “arrogance and that of her family made them hated” (Pollard 349) and they were easily blamed for putting Henry “in this perverse and wicked temper, and alienated him from his former humanity” (Gairdner VI 351). “Could any enemy the King had wish him a greater plague than, with such exceeding immoderate outrageous appetite to have this woman to his wife, so pitifully to have been blinded, and so willfully and so headlong to have precipitate himself to such a danger” (Harpsfield 253)? Yet, Henry was truly in love with Anne. As seen in a love letter written to her in perhaps 1538, Henry assured her that ‘henceforth my heart will be dedicated to you alone.’ He also apologized profusely for suggesting she could be a mere mistress. Did she have ambitions to become Queen or the wherewithal to ensure a secure future for herself as an untainted bride of a member of the nobility? Henry wrote, ‘Beseeching you also that if I have in any way offended you, you will give me the same absolution for which you ask, assuring you that henceforth my heart will be dedicated to you alone, and wishing greatly that my body was so too.’ Added to these sentiments, Henry speaks of his ‘unchangeable intention’ to marry Ann. He praised her for the ‘demonstrations of your affection’ and the ‘beautiful words of your letter’ which he felt obliged him ‘to honour, love and serve’ Anne forever. 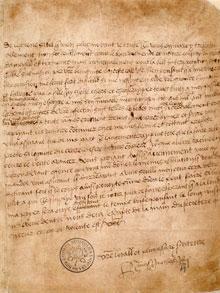 Henry also professed his ‘loyalty of heart’ and his ‘desire to please’. 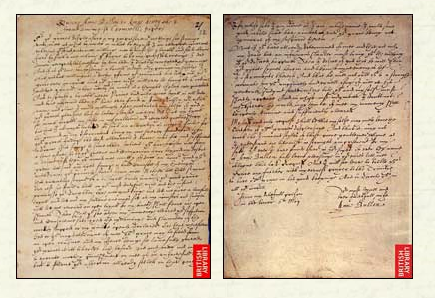 He signed the letter, ‘H seeks A.B., No Other Rex’ (“Passionate Love Letter from Henry VIII to Anne Boleyn on Public Display”). With her future consisting of execution and her Protestant cause ending in stalemate, would it have been better for Anne to “become rather his mistress, as Katharine Parr, the last and most fortunate of his queens, declared to himself it was better to be, than his wife” (Herbert, Henry 107)? This blogger cannot fathom the hatred for Anne that so quickly consumed Henry. This, what turned out to be deadly rage, must have been boiling for some time. Divorce was not enough, nor was execution. Henry’s rage required both punishments be inflicted on Anne along with the defamation of her character (with the consequence of illegitimatizing their daughter). That he sought revenge was obvious; facts were irrelevant. Had Anne “been so lost to all prudence and sense of shame, she must have exposed herself to detection, and afforde her enemies some evidence against her” (Hume 328). Proof was unnecessary; punishment was swift and severe. Henry had grown tired of an argumentative, strong-willed wife. Anne, an attractive, vivacious woman had captured Henry’s attention by “playing well on the lute” and being “a good dancer” (Sander 25). Yet, by the “vengeance of God, this woman which at such time as with her playing, singing, and dancing, …she compassed ere the year turned about, to her perpetual shame and ignominie, lost her head” (Harpsfield 254-255). Although Chapuys reported that “everybody rejoiced at the execution of the putaine; there were some who spoke variously of the King” (Froude 442). Even if Henry suspected the treasonous adultery, his reaction to Anne was completely different from that of finding out about Catherine Howard’s infidelities (which were more of a certainty than Anne’s). Obviously, his response is one of those mysteries of history which rests on the foibles of an individual. The patterns of history have changed from accepting without question Anne’s guilt to defending her in her innocence—we will never know for certain. She was a remarkable woman who led an extraordinary life. Anne, a woman of religious vision, a patron of the poor, and an advocate of education, was foremost a human being. Flawed by vanity and besieged by fear she was an intelligent, outspoken woman with strong opinions. One does not have to view her with sympathy but perhaps understanding. Must she be either a villain or a saint, victim or aggressor? She was a human being who played a pivotal role in history on her own and as the mother of Elizabeth Regina, under whose leadership her vision would be realized. Obviously, Anne had her distracters. 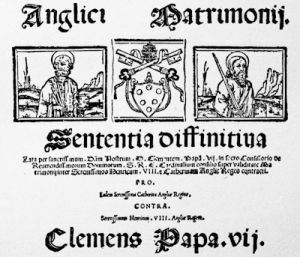 As discussed in the blog, Path to St. Peter ad Vincula -Part I, Nicholas Sander’s De Origine Ac Progressu Schismatis Anglicani was re-published in France. This led to renewed defense of Anne. Bishop Gilbert Burnet, wrote The History of the Reformation, and George Wyatt, Life of the Virtuous Christian and Renowned Queen Anne Boleigne. Referring to Sander as “the Romish fable-framer” Wyatt, grandson of the famous Tudor poet, Sir Thomas Wyatt, tried to debunk all the claims made against Anne by Sander (Cavendish 190). 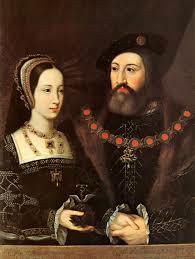 It is well known that Anne accepted admiration and would have responded to the chivalric attentions of courtiers. 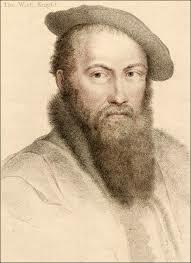 One example would be Thomas Wyatt. Upon first meeting, the similarities of the two personalities would have cemented an enjoyment for each other’s company. Both were “nearly of the same age, they had both the same love for polite accomplishments, and were both fond of poetry and music: both excelled in wit and conversation; and both probably had contracted a predilection for the ease and elegance of foreign manners” (Nott 20). It is not the purpose of this blog entry to discuss the poems and ballads that were written by Wyatt with her as the possible subject. 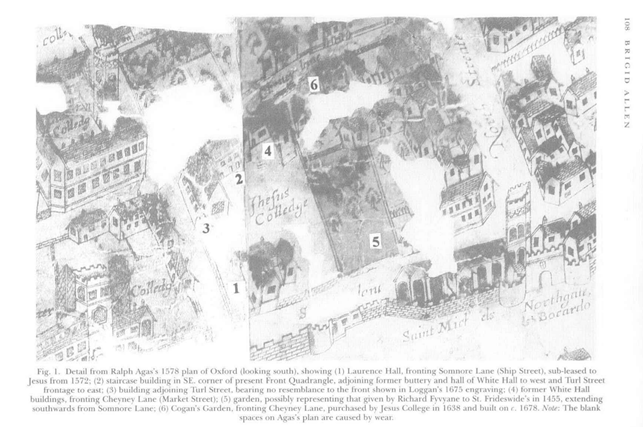 This public relationship did lead to the detainment of Wyatt in the Tower in May of 1536 as many contemporaries felt that if Anne had committed adultery, Wyatt would be a prime candidate. Wyatt was not indicted or brought to trial for infidelity with the Queen. 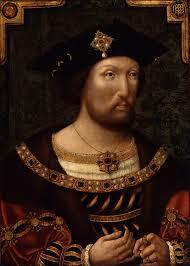 He was eventually allowed to return to his estates and gain general favor again (it is assumed his release was due to the personal relationship he held with Thomas Cromwell). While in the Tower, he would have been aware of Anne’s execution due to the role his sister Margaret played in the events. Lady Margaret Lee, had been appointed as an attendant to Anne in the late 1520s. She was a known favorite of the Queen’s and accompanied her to the Tower. Tradition has it that the Wyatt family treated with “veneration as a precious relic, a little manuscript prayer-book set in gold enamelled black” which Anne gave to Margaret “as the last parting pledge of her affection” (Nott 25). 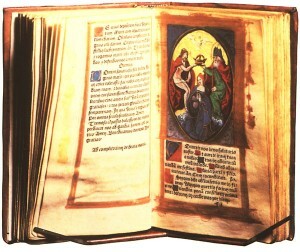 The book was “preserved by them [the Wyatt family] through several generations” (Cavendish 206). The Wyatt Prayer Book. There is still controversy as to which book, if indeed there was one, was given to Margaret Lee. Although there still is scholarly debate over which of the three surviving prayer books attributed to Anne’s ownership is the precise one she had with her at the time of her death, most scholars settle on one now displayed at Hever Castle. Within the text, on a page opposite the depiction of the crowning of the Virgin, is an inscription which could be deemed as a farewell, “Remember me when you doth pray, that hope doth lead from day to day” (Weir 336). Obviously, not knowing when this passage was written, it could have been done at a previous time, as some people speculate, as reference to Anne’s wish to be Queen. This blogger has surmised that the inscription is more fitting as a goodbye. Alas, we will never know with certainty. “Anne Boleyn’s Book of Hours.” Anne Boleyn’s Book of Hours. 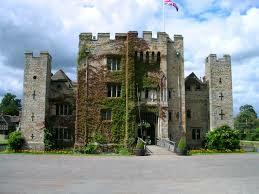 Hever Castle Web. 28 Mar. 2014. The loyalty of the Wyatt family to the memory of Anne Boleyn was cemented by the preservation of the book and by George’s biography. Of course, Wyatt was biased in his own way just as Sander; yet, he specifically clarified Anne’s religious role. In an age of religious persecution, Wyatt insisted that, in “her time (that is during the three years that she was queen) it is found by good observation, that no one suffered for religion, which is the more worthy to be noted for that it could not be said of any time of the queens after married to the king” (Cavendish 438). 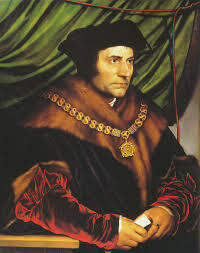 Remembering Wyatt’s bias, this blogger will not address the issue of whether Thomas More and John Fisher were executed for religious reasons: officially, they were executed for not upholding the Acts of Succession and Supremacy, which was treason. 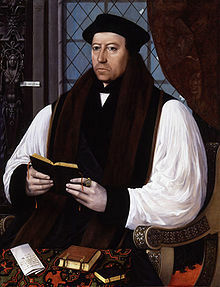 It has been viewed that “under the protection of Cromwell, Cranmer, and Anne Boleyn, Protestantism soon came out of the closet and into the pulpit” (Haigh 187). The clerics that Anne promoted and championed did uphold Protestant doctrines much to the mortification of the conservatives. Alas, it was not only the adherents to the old faith that were upset with Anne. 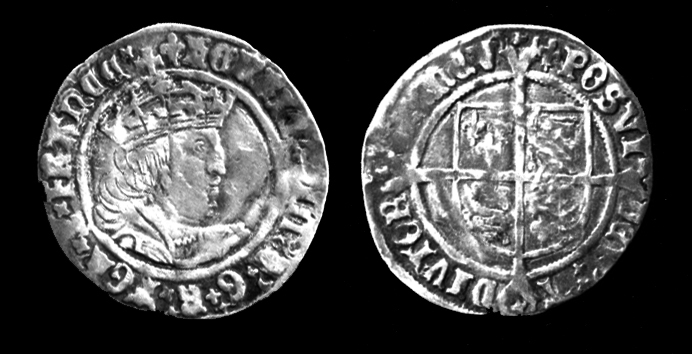 According to Alesius, the reason so many of the councilors in the reign of Henry VIII hated Anne, was that she threatened to inform the King that they were using the “guise of the Gospel and religion” to advance “their own interests, that they had put everything up for sale and had received bribes to confer ecclesiastical benefices upon unworthy persons” (Stevenson 1303-11). Foxe alluded to a conspiracy claiming “some great mystery, which here I will not stand to discuss, but only that it may be suspected some secret practising of the papists here not to be lacking, considering what a mighty stop she was to their purposes and proceedings, and on the contrary side, what a strong bulwark she was for the maintenance of Christ’s gospel, and sincere religion, which they then in no case could abide” (Foxe). Anne’s intervention did “protect vulnerable preachers” and saved “Protestants from Henry’s intermittent wrath” (Haigh 187). Henry was becoming less popular with his contrary policies. 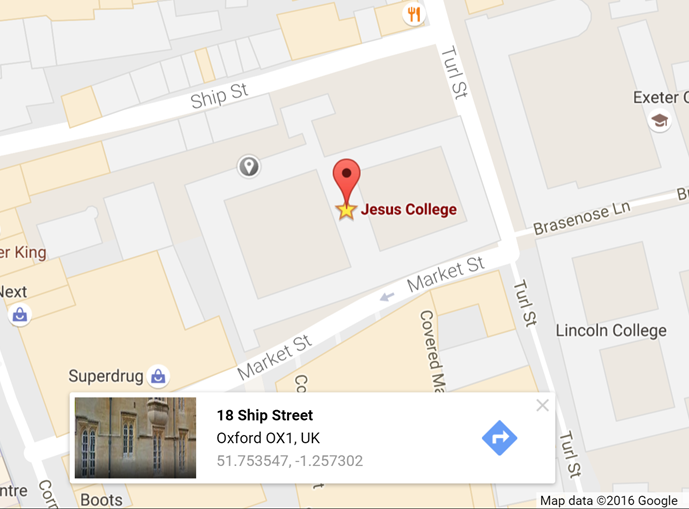 It is not the purpose of this blog to expand further on Henry’s political and religious maneuverings. 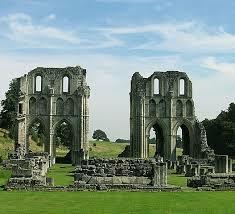 It was at the time of Anne’s death where many questioned the future course of England. With the more conservative Seymour clan in power, evangelical factions feared a constriction of the measures taken and the Catholics worried policies would not return. A rector from county Kent described the king as “a tyrant more cruel than Nero, for Nero destroyed but a part of Rome, but this tyrant destroyeth his whole realm” (Gairdner XII 980). By 1536, this sentiment could have reflected either faction’s opinion; yet, in a footnote (further cited by George Cavendish), G. F. Nott questioned how the “bonds of charity be ever brought to unite the members of the Roman Catholic communion with those of the reformed church, so long as their youth shall be thus early taught to consider our Reformation as the portentous offspring of whatever was most odious in human profligacy, and most fearful in blasphemy and irreligion?” (Nott 85). 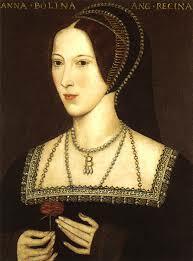 Once again, the discord throughout England was blamed on Anne Boleyn. Why did Parliament suddenly declare a marriage unlawful which it had previously declared lawful? Not only is it a mystery to us over half a millennium later, it was baffling to contemporaries. “What an astonishment and wonder was it for us at home to see it, and for all the world beside to hear, that after all this importunate suit to get her to his wife, the King caused her by parliament to be condemned as a foul detestable adulteress” (Harpsfield 254). Even later commentators expressed it was “natural to sympathize with a person cruelly persecuted, unlawfully condemned, and murderously sacrificed to the lust of bloody vengeance, not to the majesty of the law… that it is as difficult positively to pronounce the judgment virtually unjust, as it is easy to declare it actually illegal” (Herbert, Henry 324). So, while many enemies condemned Anne and willingly believed all of the charges against her, there were many who believed in her goodness. 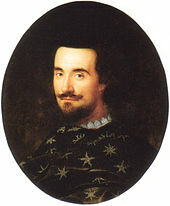 Edward Herbert, Baron of Cherbury, drew on sources including George Cavendish when he praised Anne for her respectable lineage and the education her parents provided. Her accomplishments in singing, dancing and playing musical instruments were particularly stressed. 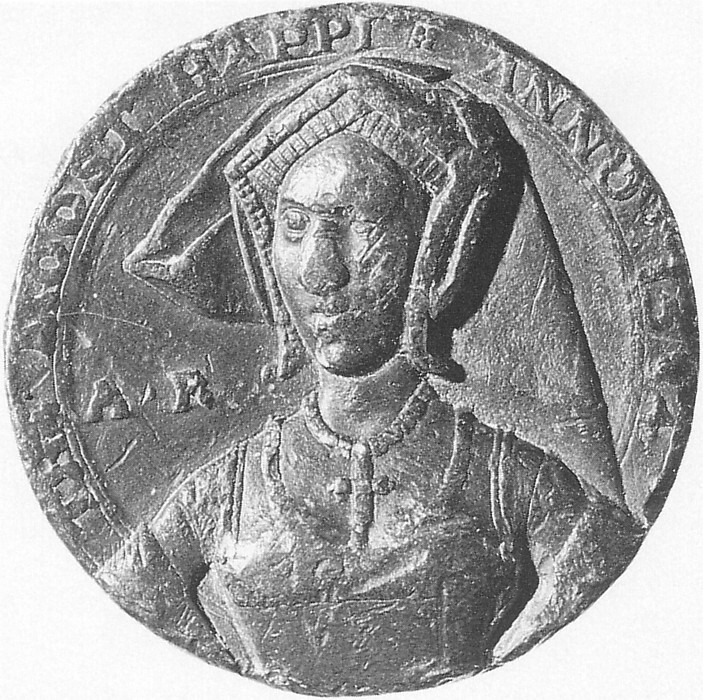 Herbert of Cherbury, no fan of Anne’s, declared “Briefly, it seems the most attractive perfections were eminent in her” (Herbert, Edward 285). Astoundingly, these very talents were vilified by the Marian Archdeacon of Canterbury, Nicholas Harpsfield, and will be discussed later. 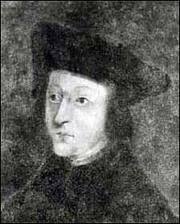 Even her nemesis Thomas Cromwell spoke to the Spanish Ambassador, Eustace Chapuys, of Anne’s good qualities: he praised her “sense, wit and courage” (Gairdner X 1069). John Foxe, author of Actes and Monuments, (commonly referred to as Foxe’s Book of Martyrs), wrote rather fulsomely of Anne yet, the specific information and circumstances portrayed are accurate. Foxe declared that “many things might be written more of the manifold virtues, and the quiet moderation of her mild nature” how she required her chaplains to point out to her any part of her character or behavior “whatsoever they saw in her amiss.” Continuing in this thread, Foxe expressed “how bountiful she was to the poor; …insomuch that the alms which she gave in three quarters of a year, in distribution, is summed to the number of fourteen or fifteen thousand pounds” and she always had “a stock there to be employed to the behalf of poor artificers and occupiers” (Foxe V 232-233). He praised her as “a zealous defender of Christ’s gospel …as her acts do and will declare to the world’s end” (Foxe V 233). Confident in her goodness, Foxe knew that more would “be declared of her virtuous life (the Lord so permitting) by others” (Foxe V 234). 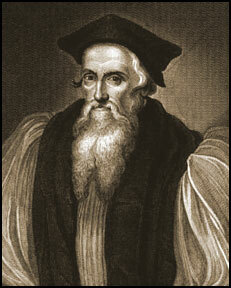 One such fan was the Scottish theologian, Alexander Alesius (also called Aless or Alesse). 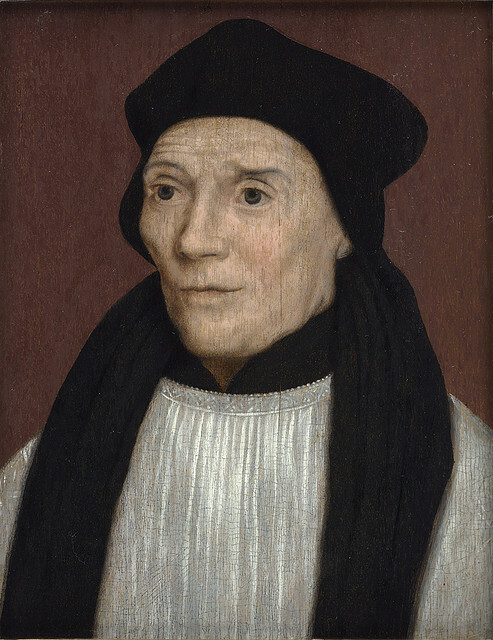 Alesius, who was in London the day Anne was executed, expressed his grief along with Thomas Cranmer, Archbishop of Canterbury. According to Alesius, when Cranmer learned of Anne’s death, he “raised his eyes to heaven and said, ‘She who has been the Queen of England upon earth will to-day become a Queen in heaven.’ So great was his grief that he could say nothing more, and then he burst into tears” (Stevenson 1303-22). 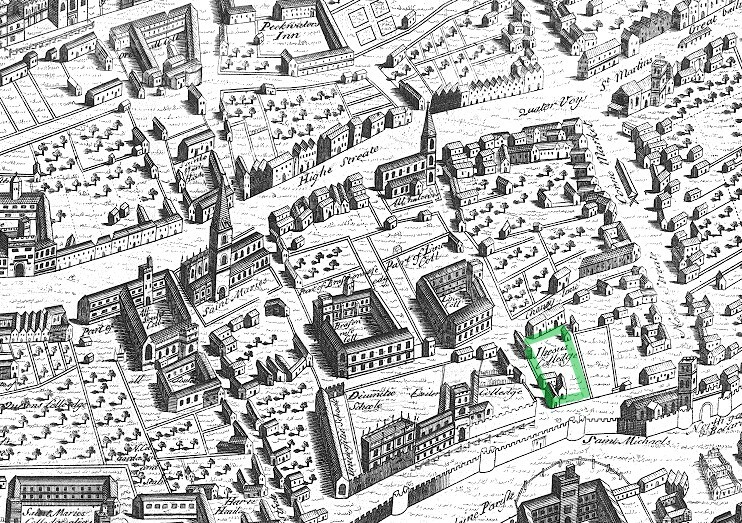 Alesius reported himself so overcome with grief he could not venture out and about in town for several days. 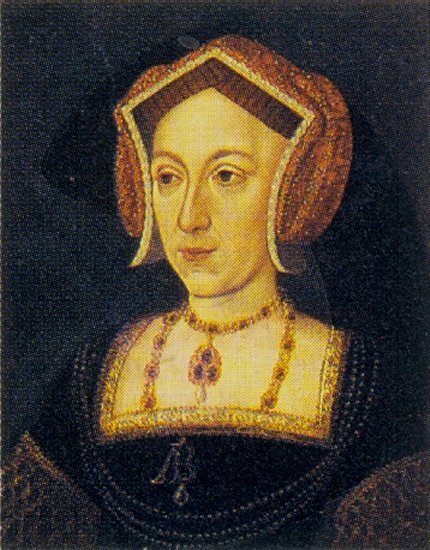 Even some men, willing to believe the worst of Anne, conceded how hers was a “pitiful case” and that one has a “duty to lean to the side of innocence, where guilt is not manifestly proven, and to look with suspicious eyes on persecution where the object of the persecutor is notorious” (Herbert, Henry 325). These sentiments led to several writers, such as Alesius who told Elizabeth Regina in 1559 he believed it his duty to “write the history, or tragedy, of the death of your most holy mother, in order to illustrate the glory of God and to afford consolation to the godly” (Stevenson 1303-8). With similar thoughts, John Foxe praised “the rare and singular gifts of her mind” which brought forth Anne’s “desire unto the truth and setting forth of sincere religion, joined with gentleness, modesty and pity toward all men, there have not many such queens before her borne the crown of England” (Foxe). Alesius clearly believed that Anne was framed for her pursuit of “the purer doctrine of the Gospel.” He believed this because with her “modesty, prudence, and gravity, as her desire to promote the pure doctrine of the Gospel” and her kindness to the poor, only the “enemies of the Gospel, whose intention it was, along with her, to bury true religion in England” could perpetuate such charges (Stevenson 1303-15). The Scot stressed to Elizabeth, “Thus much have I introduced about the tragedy of your most pious mother, in order that this illustrious instance might manifest the glory of God, and that the craft and power of man in vain oppose themselves to Him” (Stevenson 1303). John Foxe could not help but gloat that Anne’s legacy was that “the religion of Christ most happily flourished, and had a right prosperous course” (Foxe). 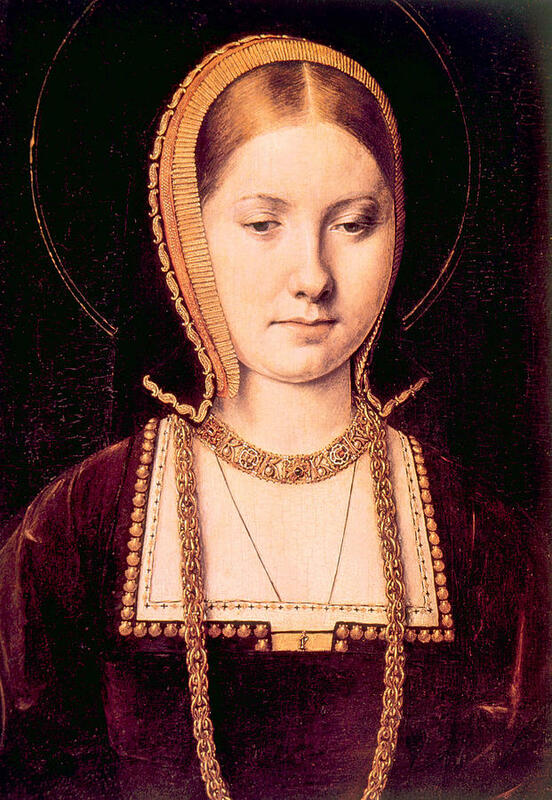 Cranmer also praised Anne for her religious practices in a letter he wrote to Henry at the time of her arrest. By professing he “loved her not a little, because of the love which she seemed to bear to God, and his Gospel; but if she was guilty, all that loved the Gospel must hate her, as having given the greatest slander possible to the Gospel” (Burnet 111). The Archbishop did have a sense of loyalty to Anne as she had been one of his greatest champions, yet, he also was pragmatic. 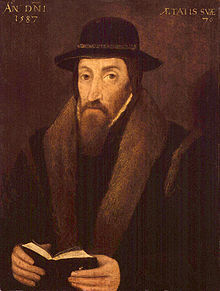 Once it became clear that the King would not back away from the charges put against Anne (he had his eye on Jane Seymour), Cranmer acquiesced in all that was required of him. There were “tears and lamentations of the faithful who were lamenting over the snare laid for the Queen, and the boastful triumphing of the foes of the true doctrine” (Stevenson 1319). 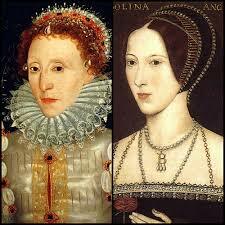 John Foxe also believed in Anne’s role in Protestantism exclaiming “the end of that godly lady and queen. Godly I call her, for sundry respects, whatsoever the cause was, or quarrel objected against her…. Again, what a zealous defender she was of Christ’s gospel all the world doth know, and her acts do and will declare to the world’s end” (Foxe).